Whether introvert or extrovert, a writer often requires long periods of self-imposed isolation in order to create an ever-expanding body of writing. But every now and then, we need INPUT—remember Johnny-Five in “Short Circuit”—and one of the best places to find it is at a writing workshop or conference. Besides being a solitary species, we are also often misunderstood by non-writers. Finding renewal and refreshment from like-minded individuals is very likely to happen at writing events. One of the suggestions I offer new writers is to join writing groups, either online or in person. 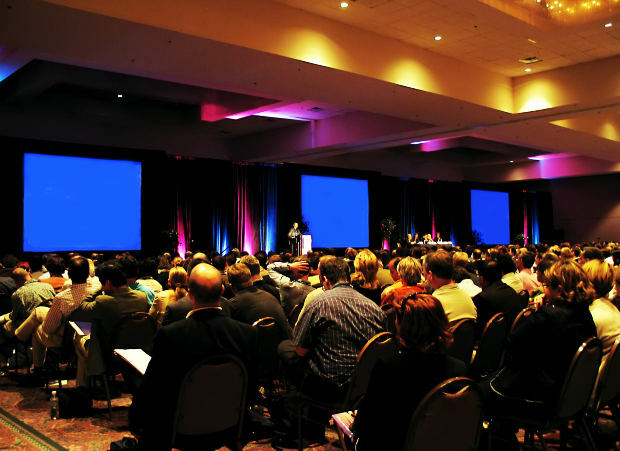 We often hear about workshops and conferences through memberships in various writing groups. As a Canadian who writes from a Christian worldview, I hold membership in The Word Guild. TWG offers many offshoot groups including listservs, editing groups, conferences, workshops across the country and contests. 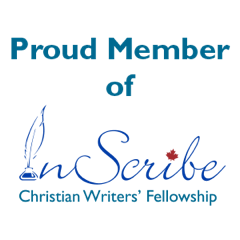 Another of my memberships is with InScribe Christian Writers Fellowship. ICWF offers similar events to TWG, and their annual conference is geographically closer to where I live, so I can afford to attend most years. A couple of years ago I also rejoined our provincial writing association, the Saskatchewan Writer’s Guild. SWG offers me excellent financial support for author readings and workshops that I present, as well as exposure to local groups seeking a writer/presenter. Besides these Canadian groups, I also belong to the American Christian Fiction Writers, and one of their affiliates, International Christian Fiction Writers. Once you choose your path (obviously, mine is primarily Christian fiction), there are many opportunities to continue to learn, grow, teach, market, and generally find support from other writers. Check if there are opportunities to sell your books. Inquire as to selling fees. Get enough sleep before the conference, and take time to review everything immediately after the conference, with plans to follow through on your commitments. So join, listen, plan, prepare, attend, and look forward to some great INPUT! Janice: Welcome to my blog, Carolyn. I look forward to learning more about you and your writing through this interview. CAROLYN: Thank you for the opportunity, Jan.
Janice: What kinds of writing are you involved in? 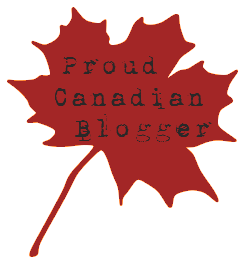 CAROLYN: Besides stories that I develop for storytelling, I write articles for my newsletter, blog at storygal as well as Inscribe professional blog and Canadian Writers Who Are Christian. 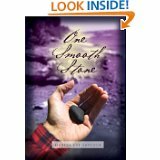 I write short stories for children and am working on short stories for adults as well. I’m working on a devotional assignment. There are also manuscripts in my files that require revision. Poetry is one of my loves and I’ve lost count of the number published. Janice: Why do you work in these genres / fields? CAROLYN: At first I wrote a lot of different things to see what I liked best, felt most passionate about. Poetry is one of those and it remains, but I also enjoy writing for children. Janice: What first interested you in writing in general? What continues to inspire and motivate you and your writing / editing? CAROLYN: I have always been an avid reader, but writing, apart from schoolwork and letters, came much later for me. I was grappling with issues in my life and began writing about artificial fragrances and their effect on humans. Then as I wrote, discovered that I enjoyed writing. It was quite a while later before I called myself a writer. Janice: How do you write? What’s your process? CAROLYN: I prefer quiet; it’s the way I hear the words that are coming to me. Early morning is most productive, but when I have deadlines for editing, my writing time has to be shifted. Most often I write in my home office where I can shut the door to everything else, however, I have written in places where I am not alone—at least to get down the main story idea. I still like pen and paper for initial drafts of short pieces but I have learned to compose on the computer, though sometimes my typing fingers have trouble keeping up with the words. I edit in quiet too, so I can focus on the writer’s words and ideas. Janice: What’s your favourite part of writing? And the most challenging aspect for you? CAROLYN: When a new story comes to me, I love that writing. I could keep on going, but I must say when I have some distance from my writing that revising the work brings its own benefits. And my critique group helps me define or cut details when the story gets a little muddy or unwieldy. Challenging aspect? Conflict. I’m not as good with that; it’s something to work on. Janice: How important do you think editing is? Do you recommend professional editing for fiction writers? CAROLYN: Without editing, the reading would be hard. Though ideas often come fast while writing, I know that early drafts are not so easy to read. I recommend professional editing for all writers. Any writer can benefit from an objective eye. Editing makes the really good writers look brilliant. Janice: I believe that reading is one of the most important things any writer can do. What do you read for pleasure? What are you currently reading? CAROLYN: My reading spans a wide variety of genres and topics: memoir; children’s books (fiction and nonfiction); main-stream fiction, some suspense but nothing too scary or edge-of-the-seat reading; nonfiction on a topic of interest; short stories and poetry. I’ve recently finished reading Words Words Words, by linguist David Crystal and The Light Between Oceans, by Australian author M. L. Stedman. Stedman is a brilliant writer and the book was a stunning first novel. I’m currently reading Knife by R. J. Anderson. Heaven is for Real, by Todd Burpo, is next on my pile and there are a few more waiting. People have been talking about the movie, Heaven is for Real, but I like to read the book first when I get the chance. There’s often more than one book “on the go” at a time. I still like holding a book, but I recently had a lesson at the library on using the Playbook and reading books on the device. Janice: Tell us a bit about yourself. CAROLYN: I’m a wife, a mother to three daughters, and a grandmother to two little girls. We live in Kitchener, Ontario, and our daughters and sons-in-law live in the same city. Growing up on a farm in rural Ontario is much different than living in the city, but I’ve adapted to city life. I take my camera with me most places and use some of those photos for my blog and scrapbooking, when I get to it. I love to listen to music at home or when I’m driving somewhere (but not when I write). Musical theatre and choir concerts are enjoyable as are visits with good friends and family. For exercise, I put on a good pair of walking shoes and go out with friends or on my own. I’m a storyteller, who has just hosted Stories Aloud at the Button Factory for the first time. Janice: You have written a book called Once upon a Sandbox. Would you tell us about this book? CAROLYN: This book is a collection of prose and poetry about growing up on a family farm in the 50s and 60s, a way of life that’s changing. When I began to write, I discovered those were the stories that came to me readily and I’m forever grateful to my editor for helping me to flesh those stories out more fully and make them stronger. The stories were too personal for magazines and I wondered what to do with them until I met Sally, a fellow storyteller, who put stories together of her childhood. The book is not as much about me and more about life around me and how that looked. About community, how it was growing up on a farm, and who my parents and siblings are as people, as well on others in my life who had an influence on me. Janice: Do you have any more books in the works? CAROLYN: Yes, I do. I have one that needs a partial rewrite; a children’s book manuscript to finish writing (and then revision), and picture book manuscripts. I hope one day to put my poetry together in a collection. Janice: What are some of the editing projects you’ve worked on? CAROLYN: I’ve edited two children’s books, a book of poetry, two biblical studies books. There were two book manuscripts by real estate agents. I worked with a chaplain on her book that won an honourable mention in a publishing contest, and more recently with an international speaker who climbed Mount Kilimanjaro in 2011 and then wrote about it. A travel memoir about travelling in South and Central America was also appealing. Proofreading projects included one on finance; the Africa Bible Commentary, and the Powerful Women magazine that I worked on with the editor for several years. Also business and industry newsletters, Ray of Hope and Community Justice Initiatives. I enjoy the variety, but I do like to edit book manuscripts and have been working with a publisher as a freelance editor. Janice: Your bio mentions your connections with Toastmasters. How did you get involved and what has this program done for you and your writing? CAROLYN: I figured that, someday, I would need to speak and I’d better get prepared. It happened sooner than I thought and so I was glad of the early start; it made book promotion more enjoyable and the workshops and speaking opportunities easier to manage. Teaching creative writing at a city community centre, and memoir sessions to Women’s Institute groups were also offshoots of speaking. Having the Toastmasters experience has helped me to grow not only as a speaker and leader but has helped me in my writing, communicating with editors and authors in my business, and in storytelling. Janice: What part does research play in your writing? CAROLYN: In January and February of this year, I wrote a children’s book I’ve been wanting to do for a long time, but I also needed to do some research, and so I read every book I could find in the library on that topic and perused some of the larger resource books until I found what I needed. The Internet is a great research tool as well. There’s always more to learn and as writers, we need to know more than actually goes in the book. Janice: Do you have any suggestions for good writing/editing resource books? CAROLYN: Always a good collegiate dictionary and a thesaurus. Two grammar resources I recommend are Checkmate or Practical Grammar. There are too many to list on other aspects of writing, but I will mention that the Writers’ Digest series on Writing Great Fiction, and for writing memoir, Writing Life Stories, second edition, by Bill Roorbach and Kristen Keckler. Janice: What did you learn while writing your most recent work? CAROLYN: That there’s always more to learn, and that I just need to focus on a particular area. It’s like osmosis the more I read on a topic. The information sticks, and I make notes on what I need. Janice: Do you have any advice for beginning writers / editors? CAROLYN: For writers, learn all you can about writing, save your pennies (or I guess it’s your nickels) and go to a writer’s conference whenever you can. Seek out a critique group and be willing to look at your fellow writer’s work, and be a reader. For anyone wanting to learn editing, take courses from a reputable university that offers publishing programs. There’s more to it than you think, even for those with an English degree, although that education will give you a good background in literature. And read widely, on many topics then learn what expertise you bring. Janice: How involved are you in social media and how important do you think it is in promotion? CAROLYN: I blog and I’m on facebook, but I get to Twitter less often, for good or bad. A profile on LinkedIn is a good thing too, more of a business connection, and I’m there too. But don’t just stay at your desk. Get out and meet people and try out new experiences, because that will give you more to write about. It may not be easy if you’re an introvert, but it’s worth the effort. Janice: In your opinion, what’s the best marketing/promotional method? What has worked or not worked for you? CAROLYN: I’m still learning. When I was preparing for my book launch and readings or signings, it was calling people on the phone and meeting them in person that was effective. Friendly emails, and keeping in touch, and not always “do this for me.” Make genuine connections. Get involved in activities that interest you and your passion will come through. Janice: Thanks so much, Carolyn, for taking time to chat with us today. All the best as you continue in your career of working with words. Carolyn Wilker is a member of The Editors’ Association of Canada and The Word Guild, an association of writers and editors. 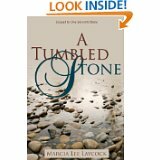 She works with business owners to improve their communications, and with writers to improve their manuscripts. Carolyn was a member of the proofreading team for the award-winning Africa Bible Commentary and has worked on a variety of projects, including fiction and non-fiction manuscripts. 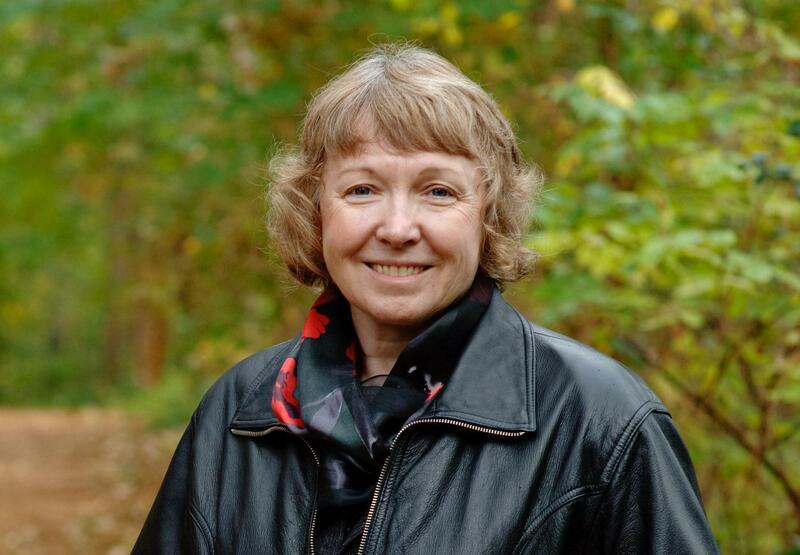 Through her involvement in The Energetics Toastmasters club in Waterloo, Ontario, Canada, Carolyn has gained valuable leadership and communication skills. Awarded Toastmaster of the Year for her club in 2006-2007 and 2007-2008, she has also been a panelist in 2007 and a workshop leader in 2008 for Write! Canada.